At the center of the Milky Way sits a dark and dangerous beast: Sagittarius A*. Located about 26,000 light-years from Earth, our galaxy’s only known supermassive black hole is roughly 4 million times as massive as the Sun, and its immense gravitational pull can nonchalantly annihilate any object that strays too close. Fortunately for us, Sagittarius A* is like a troll under a bridge — it does not leave its post. This tends to be the case for most supermassive black holes (SMBHs) found throughout the universe. However, sometimes a SMBH can be forced from the center of its host galaxy, particularly if it’s involved in a galactic merger with a bigger counterpart. For example, if a small galaxy merges with a larger one, the smaller galaxy’s SMBH will likely be thrown into a wide orbit around the newly formed galaxy, therefore becoming a ‘wandering’ supermassive black hole. Though astronomers have previously found evidence of these nomadic SMBHs on the outskirts of other galaxies, their overall prevalence is still largely unknown. But according to a new study published April 24 in The Astrophysical Journal Letters, wandering supermassive black holes may be quite common (and even observable) within many different types of galaxies — including the Milky Way. ESA’s Gaia mission has produced the richest star catalogue to date, including high-precision measurements of nearly 1.7 billion stars and revealing previously unseen details of our home Galaxy. A multitude of discoveries are on the horizon after this much awaited release, which is based on 22 months of charting the sky. The new data includes positions, distance indicators and motions of more than one billion stars, along with high-precision measurements of asteroids within our Solar System and stars beyond our own Milky Way Galaxy. Preliminary analysis of this phenomenal data reveals fine details about the make-up of the Milky Way’s stellar population and about how stars move, essential information for investigating the formation and evolution of our home Galaxy. 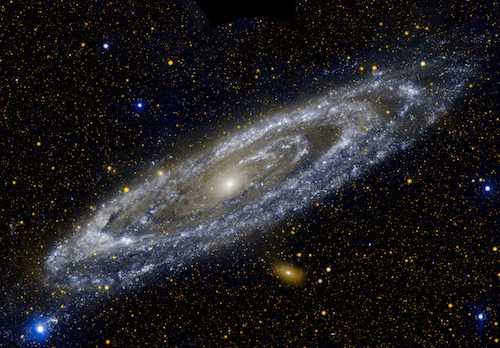 “The observations collected by Gaia are redefining the foundations of astronomy,” says Günther Hasinger, ESA Director of Science. The Gaia countdown is on! This Spacecraft is About to Drop a Ton of Data and Change Astronomy Forever!! Amid a series of setbacks with NASA’s James Webb Telescope, the astronomycommunity is understandably bummed. This much-hyped ‘scope could allow scientists to peer into the atmospheres of exoplanets like the ones found in TRAPPIST-1 with unprecedented detail. The problem is, the mission is having a really hard time getting off the ground, literally and figuratively. But the second data release from a European Space Agency project — aptly named Gaia, after the ancient Greek goddess of Mother Earth — could be the astronomy revolution no one saw coming, save for a few, including the American Museum of Natural History’s Jackie Faherty. Faherty, an astrophysicist, tells Inverse on episode four of I Need My Space(available now on Apple Podcasts), that this massive data dump — which drops Wednesday morning at 6 a.m. Eastern — could be even more extensive than JWST. It just hasn’t gotten much publicity in the states. 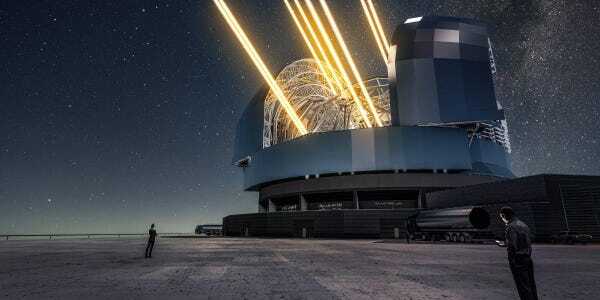 Using the Anglo-Australian Telescope (AAT), an Australian-led group of astronomers working with European collaborators has revealed the “DNA” of more than 340,000 stars in the Milky Way, which should help them find the siblings of the Sun, now scattered across the sky. This is a major announcement from an ambitious Galactic Archaeology survey, called GALAH, launched in late 2013 as part of a quest to uncover the formulation and evolution of galaxies. When complete, GALAH will investigate more than a million stars. 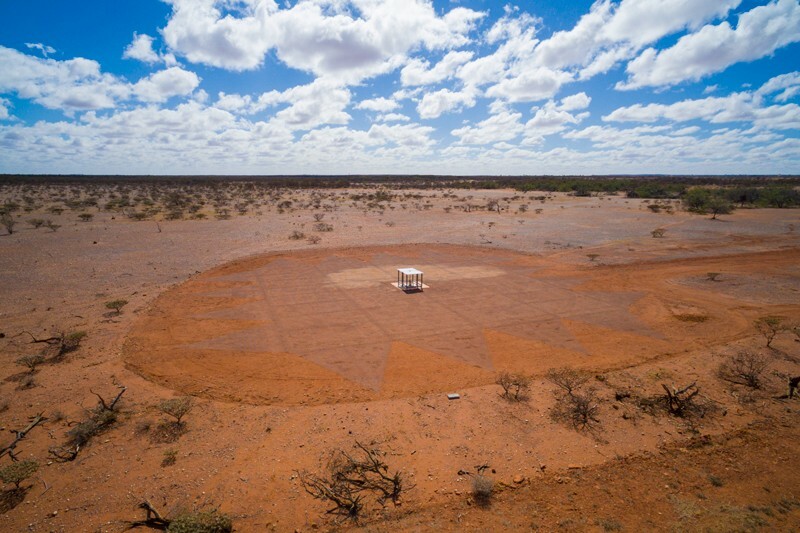 The GALAH survey used the HERMES spectrograph at the Australian Astronomical Observatory’s (AAO) 3.9-metre Anglo-Australian Telescope near Coonabarabran, NSW, to collect spectra for the 340,000 stars. 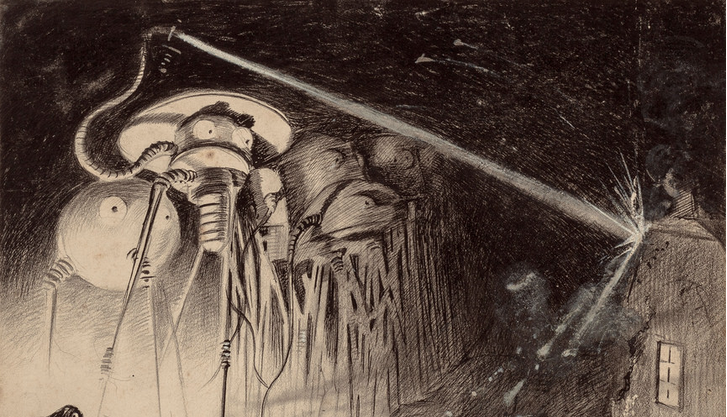 Starting around 50 years ago, astronomy began a winning streak of amazing discoveries. We found the cosmic microwave radiation left over from the big bang back in the 1960s, for instance, and in recent years we have identified thousands of planets orbiting distant stars. But the good times may be about to stop rolling. There is reason to fear that astronomy is ending its long run of lifting the veil on cosmic wonders. When you think about what’s out there in the abyss of deep space, whether you’re looking out at the planets in our Solar System or the most distant galaxies perceptible in the Universe, the instrument most people think about using for the best images and data is the Hubble Space Telescope. Perched hundreds of miles above the Earth’s atmosphere, issues like clouds, atmospheric distortion, turbulent air, or even pollution are no concern. Images are as sharp as the cameras and optics on board allow, and from its position off-world, it can look in any direction we want it to. Using it, we’ve seen wonders the likes of which we’ve never imagined; Hubble has shown us what the Universe truly looks like. Cool idea, but a lot of money for an 80mm refractor. 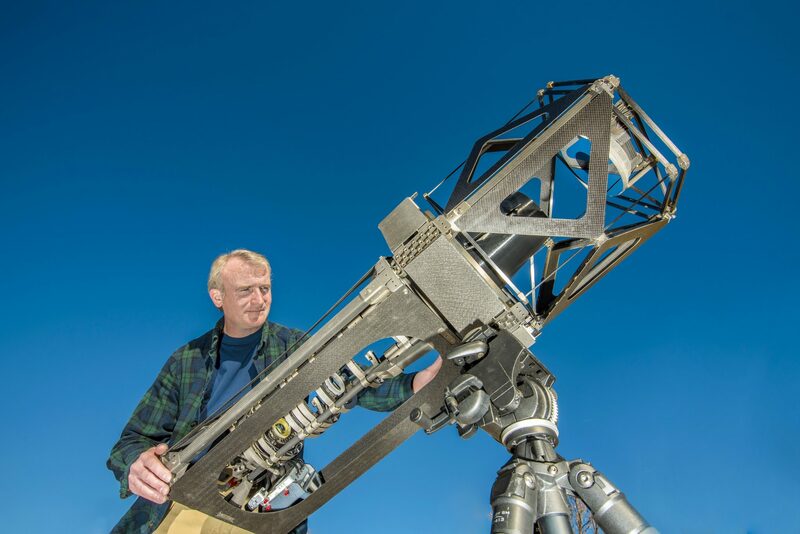 A new app-enabled telescope makes stargazing and astrophotography easier than ever. 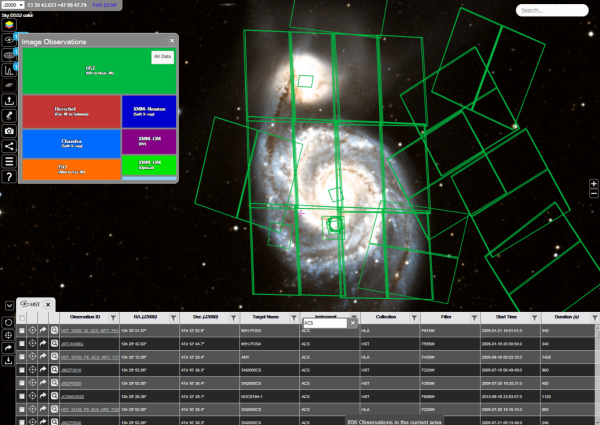 Meet ESASky, a discovery portal that provides full access to the entire sky. This open-science application allows computer, tablet and mobile users to visualise cosmic objects near and far across the electromagnetic spectrum. Via a radio telescope in Western Australia!